Life can be stressful. Some people do yoga, some people play video games, some people just color. Actually, a lot of people color. It’s become a favorite pastime of many people for it’s soothing effects and the ease at which people can pick up the hobby. All you need is a coloring book and some color pencils. Or just a tablet or smartphone. 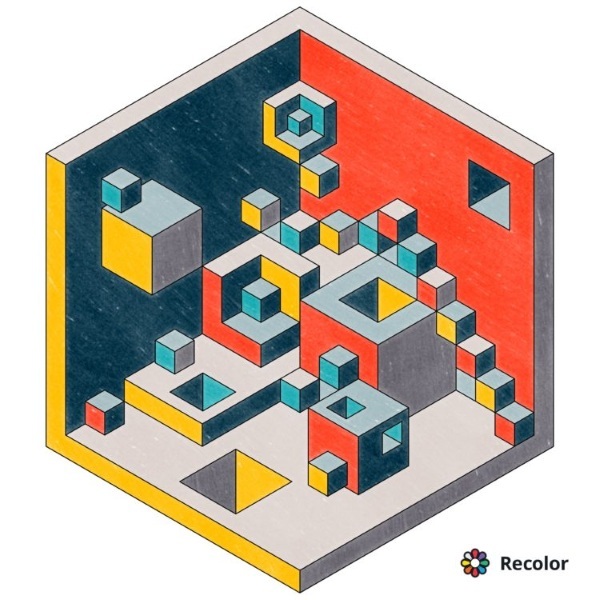 Recolor is the app for mobile color books. This is coloring for adults. Images that contain lots of small details for your coloring enjoyment. The app has over 2000 images for you to color using just your fingers or stylus. All of the pages are organized by categories so you can color what you feel like. There are more designs for in app purchases if you aren’t happy with the 2000+ they give you for free. Just tap the area you want to color and tap again to clear it. The act of coloring in the pages may help to calm you and because it’s mobile friendly, you can do it anywhere. Available for both Apple and Android devices.